A 32-year-old man suffered slight smoke inhalation after a fire in Lurgan in the early hours of Saturday morning. The fire was at a semi-detached house on the Antrim Road in Lurgan. “Firefighters wearing breathing apparatus used a hosereel jet to deal with the blaze. 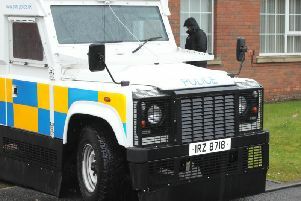 “The man was treated by Ambulance personnel at the scene,”said the NI Fire and Rescue Service.